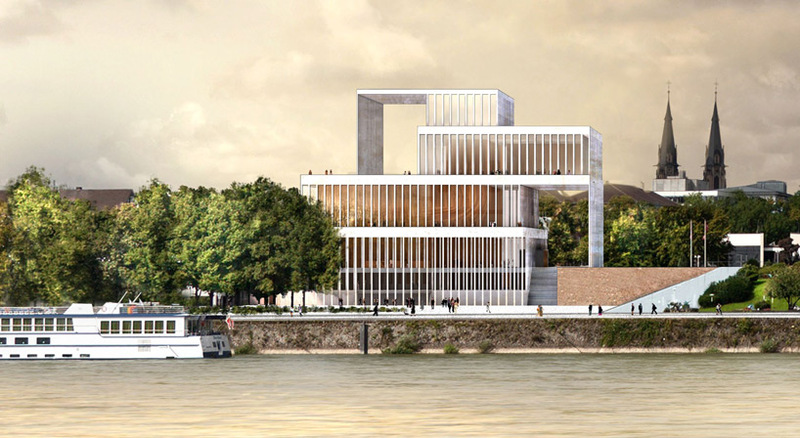 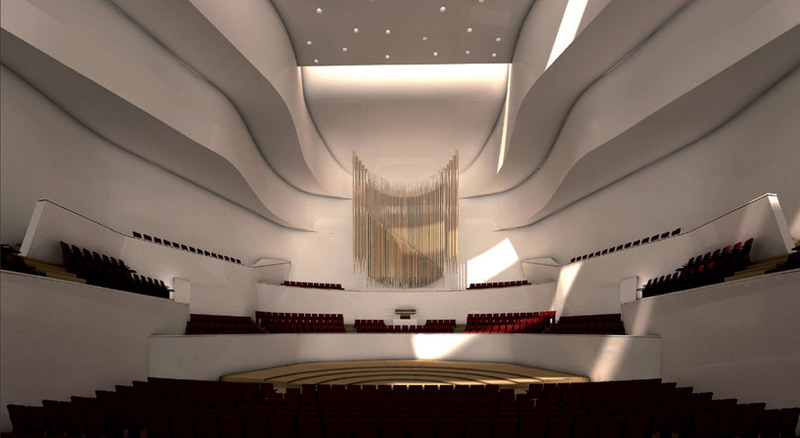 in dedication to the historically renowned composer beethoven, a concert hall, or ‘festspielhaus‘, is being planned on a site along the rhine river in the composer’s hometown of bonn, germany. 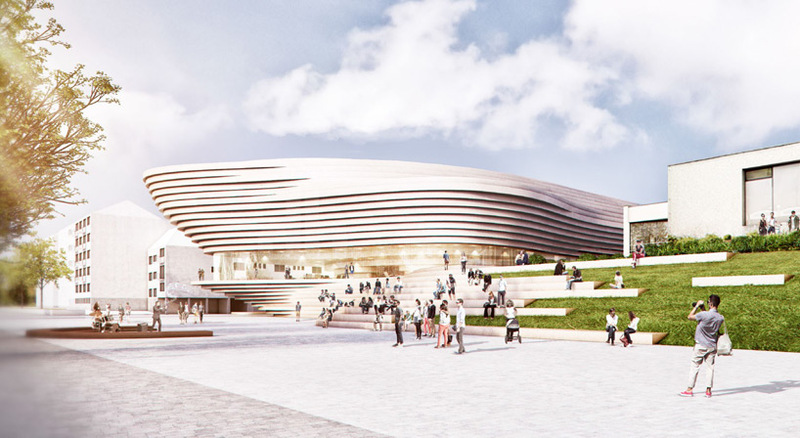 following a design competition comprised of ten internationally-based architecture offices, a shortlist of three firms has been selected, including david chipperfield architects, kadawittfeldarchitektur, and valentiny hvp architects. 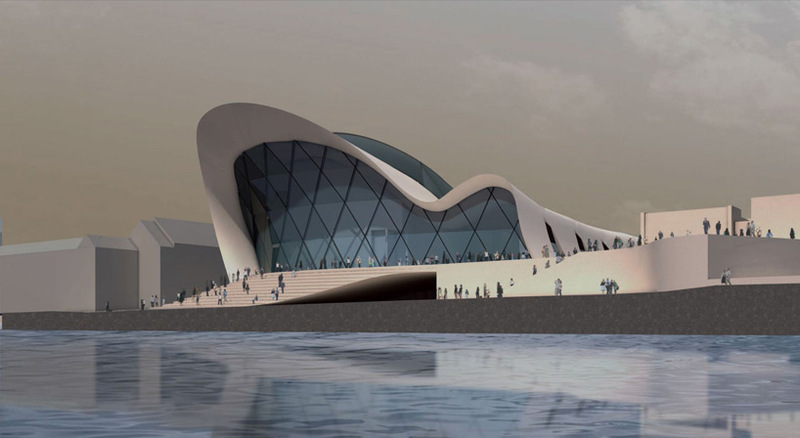 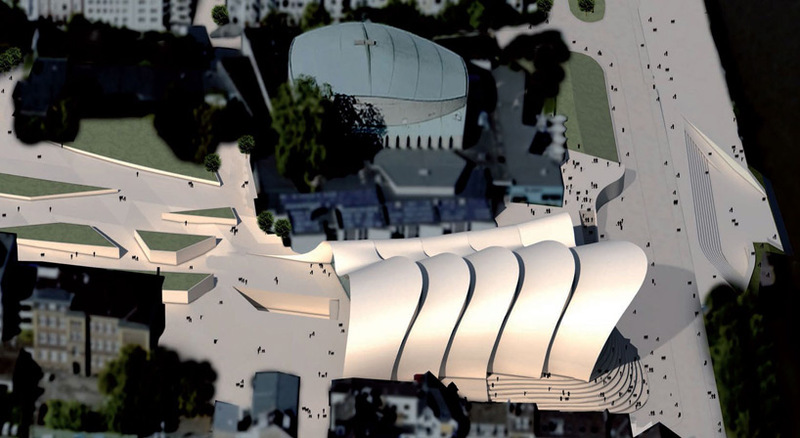 proposals ultimately declined by the jury came from zaha hadid architects, snøhetta, UNStudio, gmp architekten, arata isozaki, JAHN, and architekturbüro karl-heinz schommer. 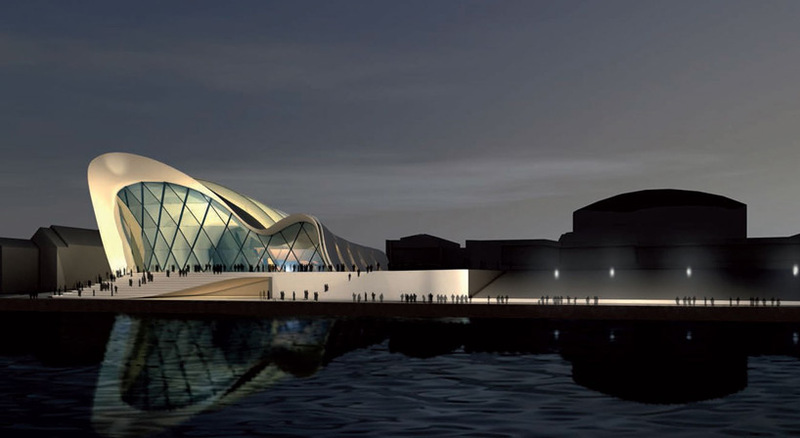 through november and december of 2014, the three final teams will take their schemes into further detail, while a finalist will be chosen in 2015 following cost estimation. 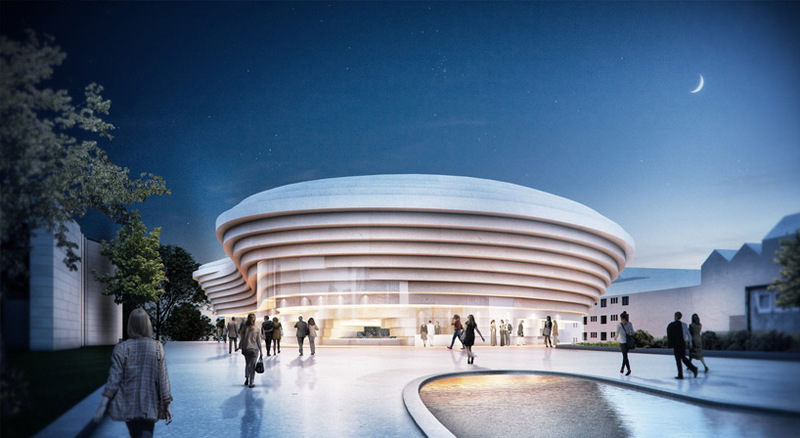 with an expected opening in 2019, the ‘beethoven festspielhaus’ marks significant anniversaries from the composer’s lifetime, with 2020 being 250 years after his birth and 2027 being 200 years after his death. 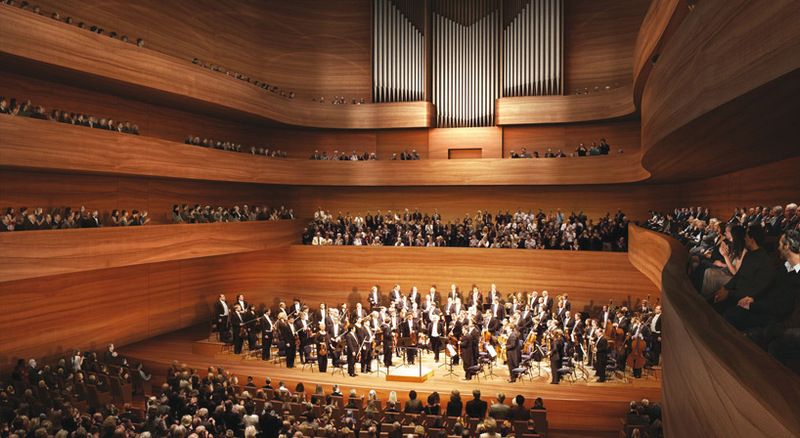 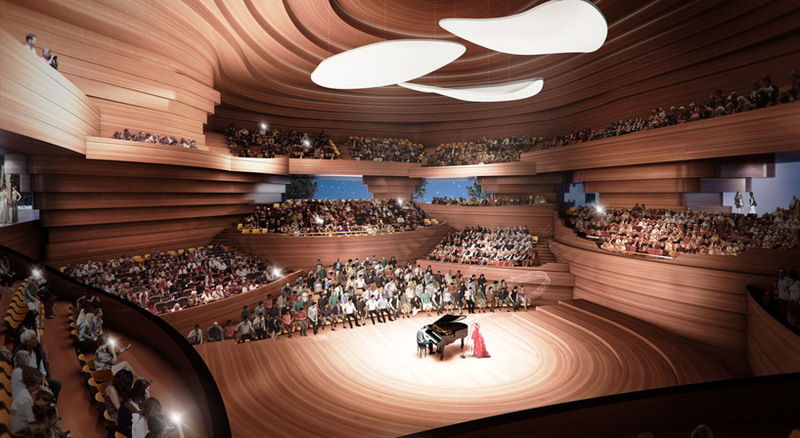 in seeking to establish the composer’s cultural legacy in built form, the organization describes the new facility will, ‘anchor these momentous anniversary celebrations and help honor and celebrate beethoven’s musical legacy into the distant future.’ while certainly highlighting classical works, the structure is envisioned as an international ‘house of music’, which will feature a diverse range of performances from genres such as crossover and pop. 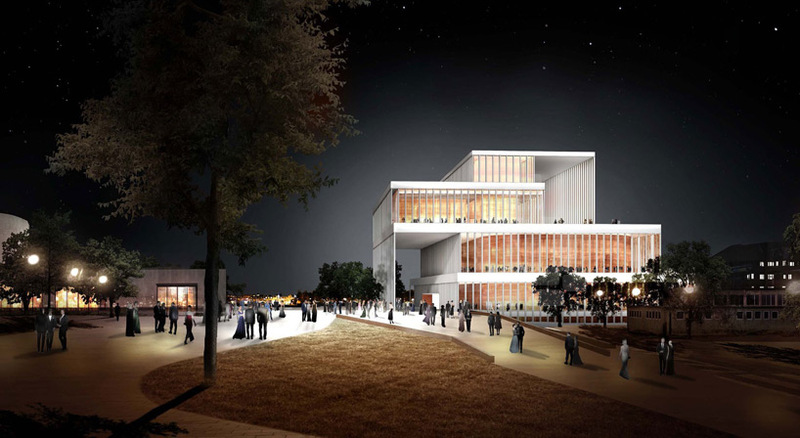 the project results from private funding, with deutsche post DHL having earmarked 30 million euros toward the effort, alongside 39 million euros pledged by the german government. 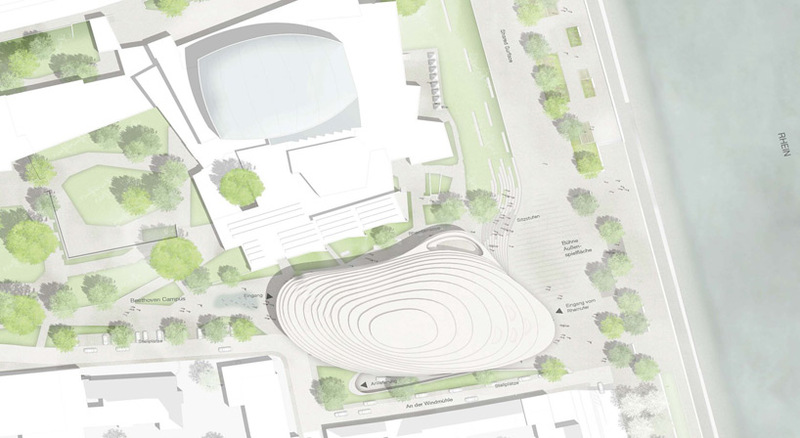 fundraising will continue while the project progresses toward a planned construction start in 2016.
through the use of layered curving forms, german-based kadawittfeldarchitektur’s main intention was to harmonize the new hall to its surroundings, including the river, adjacent structures, and open spaces. 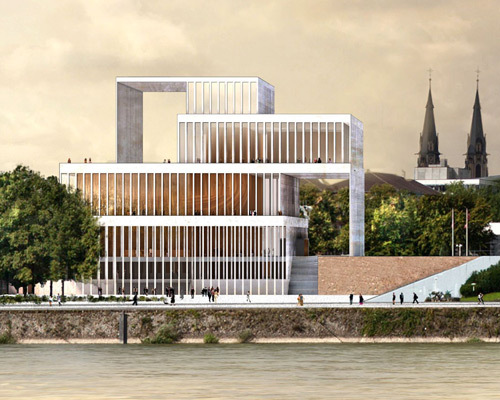 beyond creating an exterior shape, the building’s geometries are expressed both on its interior as well as in the landscaping, resulting in a stepped transition down to the rhine promenade.